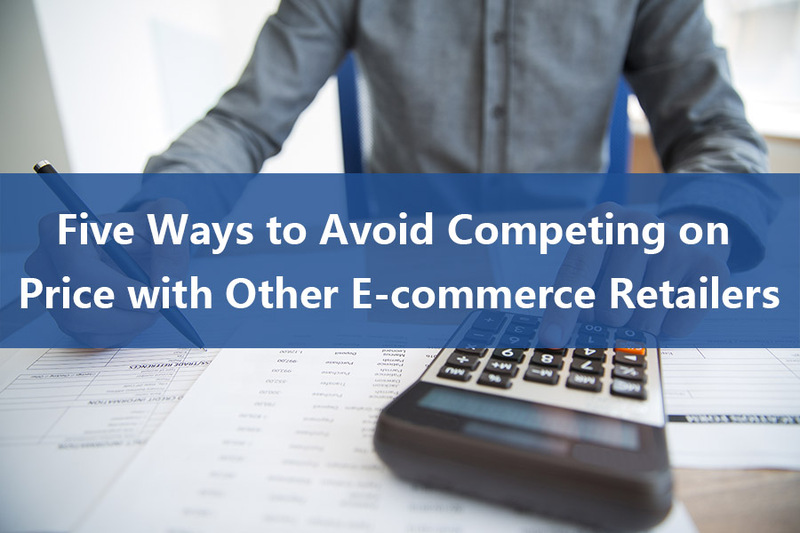 Competing on price alone is one of the worst business strategies an e-commerce retailer can come up with, it damages the brand, makes everyone suffer from little profits, and guess what? The cheaper you sell your products, the lower price the consumer will look forward to, its bottomless. Here are some tips for e-bay/Amazon/Shopify or other e-commerce sellers to avoid price war. Find unique product source. 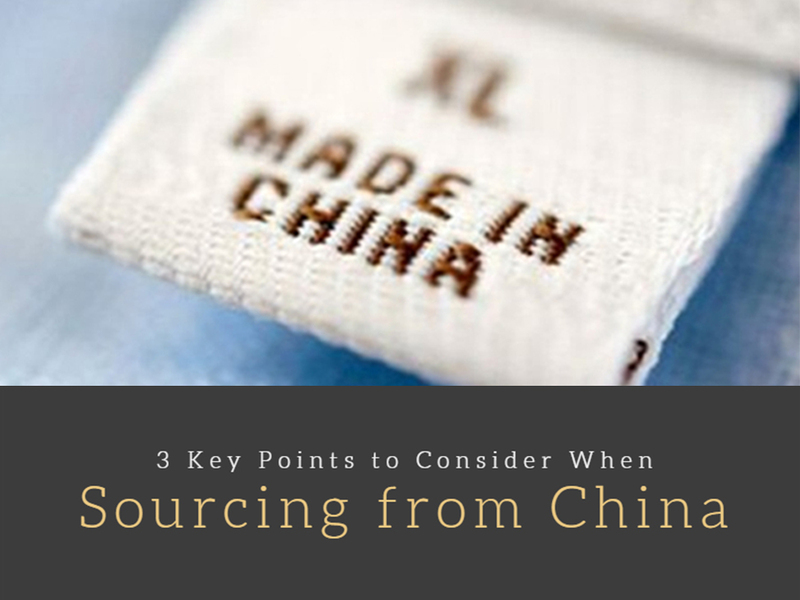 Sign the exclusive supply contract with your supplier, cooperate with the independent brand owners, design the products by yourself… Try everything to make sure your product source is unique. If the consumer can’t find any one else sell the same products, they can’t compare prices. This is the most basic method to avoid competing on price. Differentiate your products with powerful brand strategy. If you sell hot-sale products, there are still ways to differentiate your products. The best way is to pay more attention to marketing and branding. 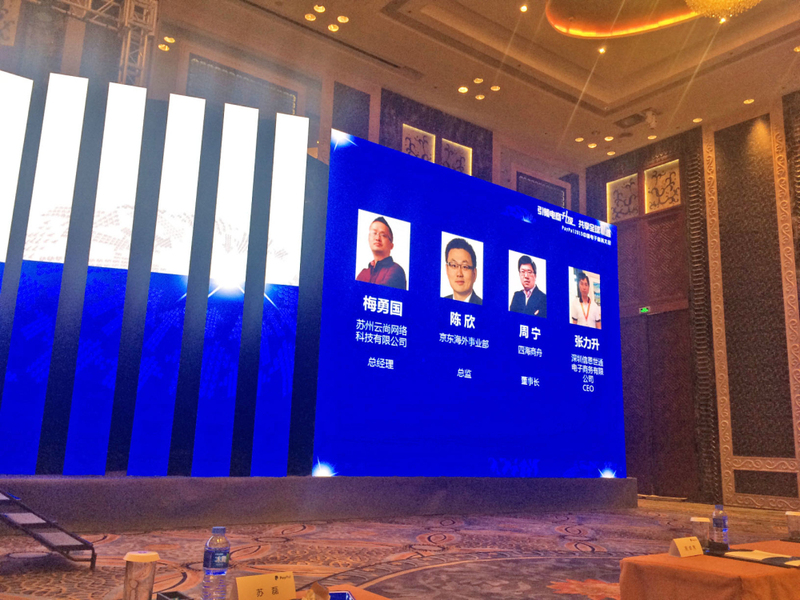 For the global e-commerce sellers, it may be tricky to transfer the brand strategies to reality, since both the suppliers and consumers are far away. 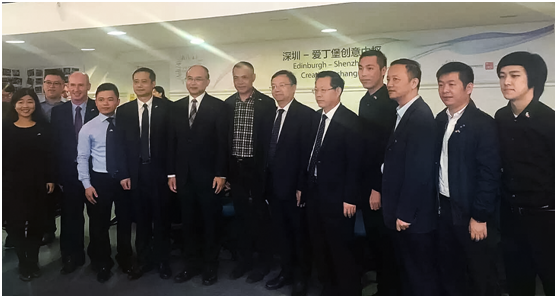 ChinaDivision brand upgrading service is here to help. Print logos on the boxes, use customize packages, put catalogs in the packages, mark the brand name on the shipping labels… What you need is what we will provide. 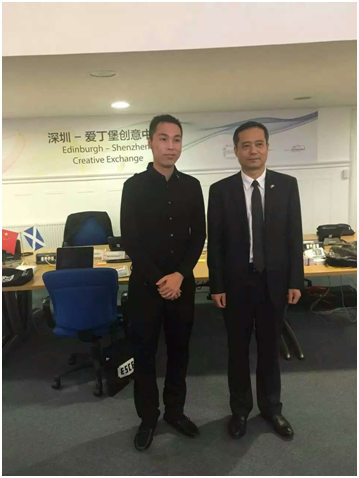 ChinaDivision also provides gift fulfillment service to help the business owners to send holiday gifts to the customers and VIPs. Choose the dedicated fulfillment solution. If you want to differentiate your products, which is the key to avoid competing on price, DO NOT DROPSHIP. Dropshipping may be the easiest way to get into e-commerce business, that means almost anyone can do it. 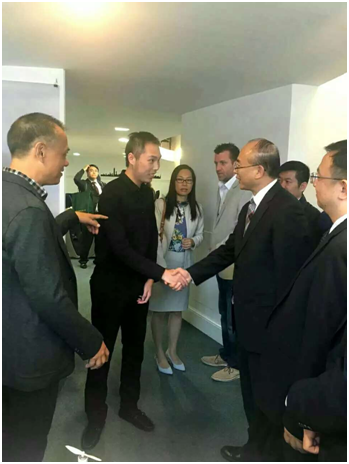 I guess none of the dedicated e-commerce sellers want to be equaled to the amateurs and copycats just because they also use dropship. 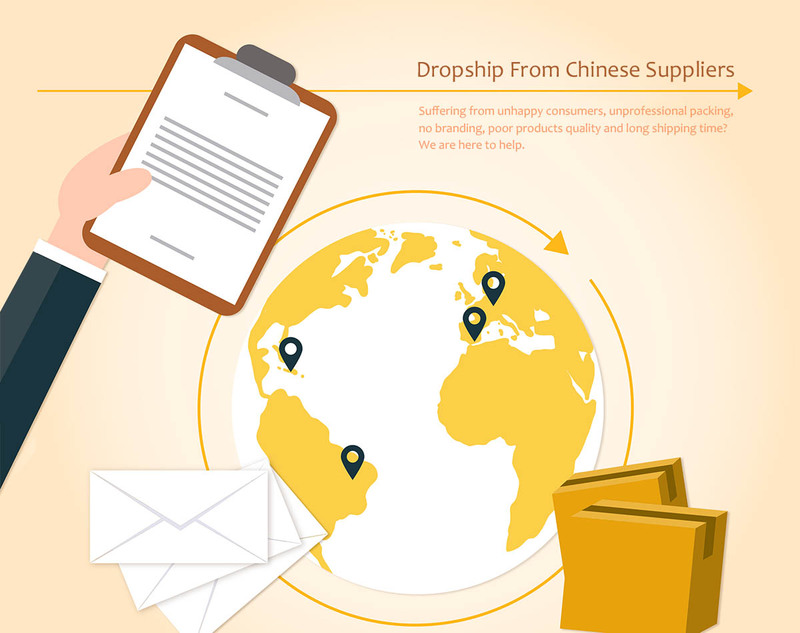 The experienced order fulfillment company like ChinaDivision provides dedicated fulfillment service with more advanced service items compare to dropshipping. 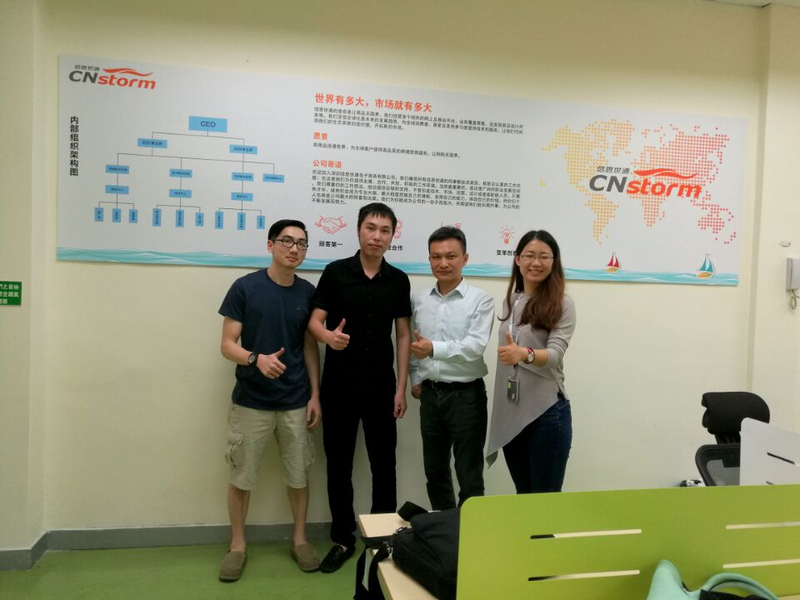 Thanks to the multiple years of experiences in manual operation optimization, inventory management and global shipping, ChinaDivision can provide the effective and tech-oriented fulfillment service including easy to use user center, multi-platform fulfillment integration and flexible shipping solutions. Pay attention to your service ranking and other metrics on the e-commerce platform. The e-commerce websites like eBay and Amazon use rating system to regulate the sellers, the seller who gets more positive item reviews, less closed orders and lower refund rate will get the better rating. A better seller rating will make your listings rank higher in the website and the consumer will find your products first instead of your competitors’. More than that, people are prefer to buy from a good-rating seller even though the products are more expensive. Provide more than products. Why people still go to the Apple Store when they can buy an iPhone online conveniently? Because the Store provides extra services and better shopping experiences. An online store may have a lack in shopping experience compare to those fancy shopping malls, but there is still room for improvement. Beautiful web design, thoughtful customer service, shorter shipping period, door-to-door delivery… provide as many supporting services as you can instead of just selling the product itself. What you give out today can pay a certain return soon. What Marketing Strategies Can Be Learned from the 2015 eCommerce Benchmark Report by Yotpo? 1. Do I have a healthy distribution of traffic? 2. 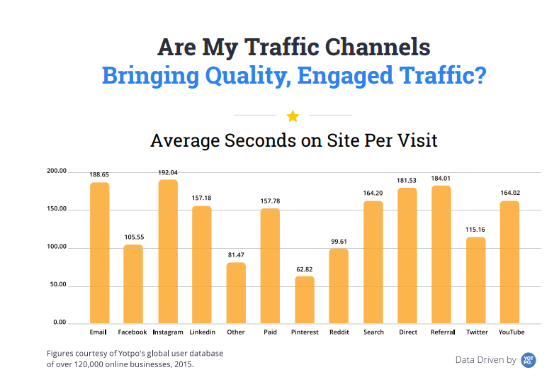 Are my traffic channels bringing quality, engaged traffic? 3. 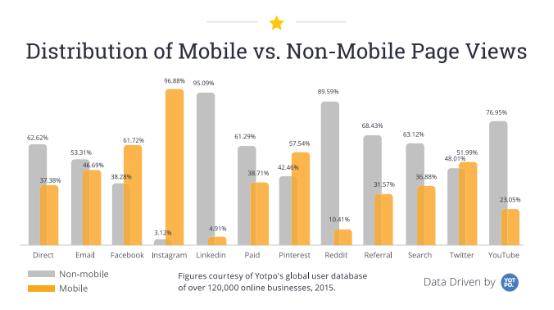 Mobile vs. non-mobile traffic, which should be more focused on? 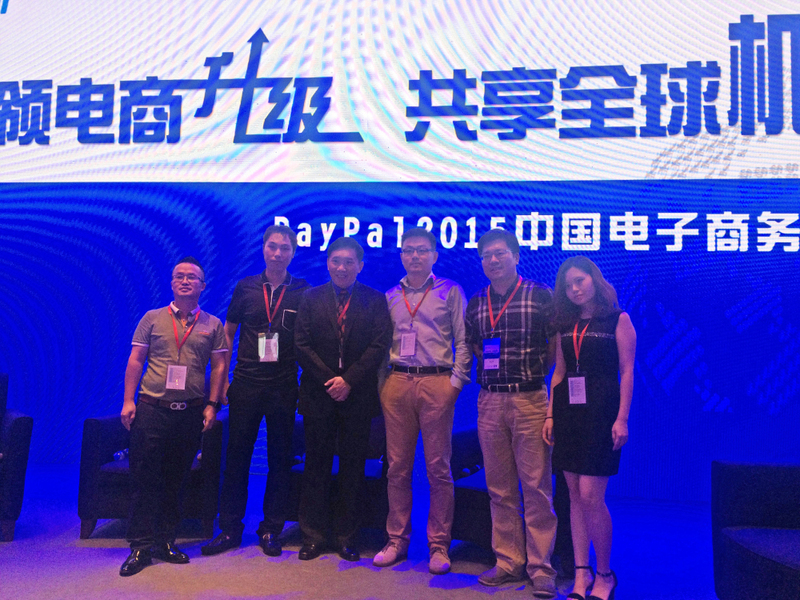 Here at ChinaDivision, we share and analyze a report by Yotpo in 2015 to help find out the answers. It was based on 65 million orders and two billion dollars in transactions across over 120,000 eCommerce stores. The report was designed to help online merchants adjust their marketing strategies according to the latest survey and stay unbeatable in the competition. What Are My Traffic Channels? How Well They Work? 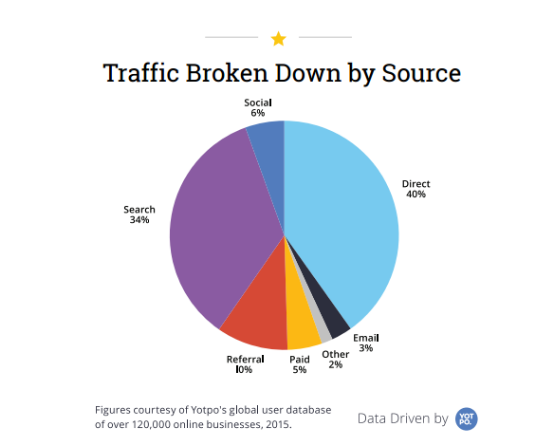 Direct, search and referral traffic were overwhelmingly the dominant traffic sources, which respectively accounted for 40%, 34% and 10%, followed by social traffic of 6%, according to the pie chart above by Yotpo in 2015. Although social traffic only made up a small portion of overall traffic, they brought high quality and engaged traffic. Instagram was the winners in terms of longest time on site, followed by email, referral and direct traffic. From the above data we can gather that direct marketing such as email or one-on-one techniques, combined with social marketing will be important focuses in the current year. 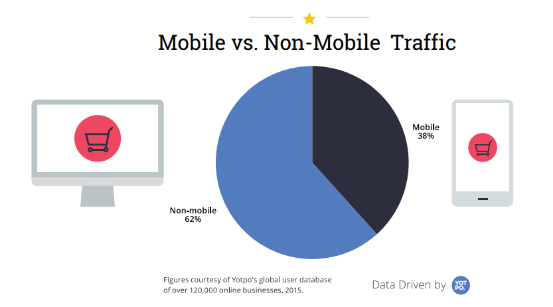 Mobile vs. Non-Mobile traffic, Which Is More Workable? According to the data in 2015, only 38% of traffic came from mobile devices, while non-mobile devices placed the overwhelmingly dominant role of 62%. The bar graph showed very clearly that when looking at percentage of page views from a mobile device vs. a non-mobile device, some social networks such as Instagram and Facebook leaned heavily in mobile devices, while LinkedIn and YouTube were in the opposition direction, having an enormously high percentage of desktop visits. On the other hand, page views for email from mobile and non-mobile devices were almost the same, but clearly adjustment should be made to optimize the email content for a better reading experience through mobile devices. 2016 will bring adjustments of specific campaigns. For example, LinkedIn will be more focused on desktop visitors, while Facebook will be built more user-friendly for mobile users and more ad campaigns will be invested. Mobile and social are changing ecommerce, but mobile vs. non-mobile traffic varies majorly depending on source – so make sure you’ re measuring appropriately. In 2016, marketing is going to be more specific and more direct than ever. 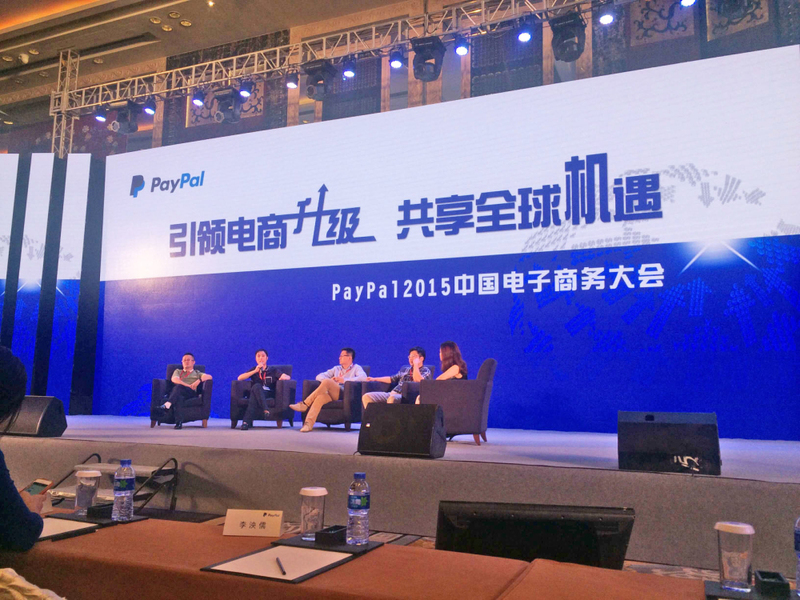 Online merchants need to define goals based on traffic source and mobile or non-mobile devices. Posted on August 3, 2016 November 15, 2018 Categories e-commerce shoppingTags ecommerceLeave a comment on What Marketing Strategies Can Be Learned from the 2015 eCommerce Benchmark Report by Yotpo?